Multi-pocket device holder. 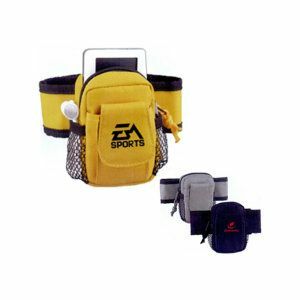 300 denier polyester double pocket audio device / cell phone carrier with adjustable arm strap and mesh pockets. iPod (TM) not included.